Refugee Support Network is in real need of volunteer mentors in Oxford. Volunteers meet for an hour a week with a young unaccompanied refugee (aged 15 to 21) to help them progress in education, e.g. by working on an aspect of their homework or classwork which they find challenging. 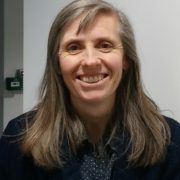 Please contact Torie Stubbs tstubbs@refugeesupportnetwork.org or fill out an enquiry on RSN’s website. Marlow Refugee Action celebrated becoming a registered charity. The group recently organised a World-Café event and Imad’s Syrian Kitchen in Marlow and continues to support a legal centre for refugees on the Greek island of Samos. 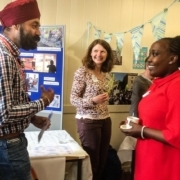 Kama Oxford has had a successful “taster term” of events enabling refugees, asylum seekers and migrants to share their skills and passions with others. These have included Chinese Folk Song, Middle Eastern cookery, Arabic language and culture, and an introduction to Eritrean culture. Faringdon Refugee Support Group has received a framed thank you certificate from the Red Cross in recognition of their support in resettling eight families across the Vale of White Horse and South Oxfordshire. In total the group spent approximately £8000 on essential white & electrical goods, to help equip each family with the basics, and supplied furniture, groceries, and other essential household items (approximately £500 per household.) Now that the Red Cross contract for the Syrian Vulnerable Persons Resettlement Scheme in this area has ended, FRSG and Host Abingdon are discussing how they can continue to provide support to these families. 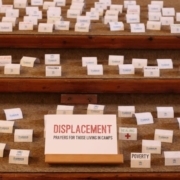 Didcot Baptist Church recently held an evening service of prayer focused on refugees. 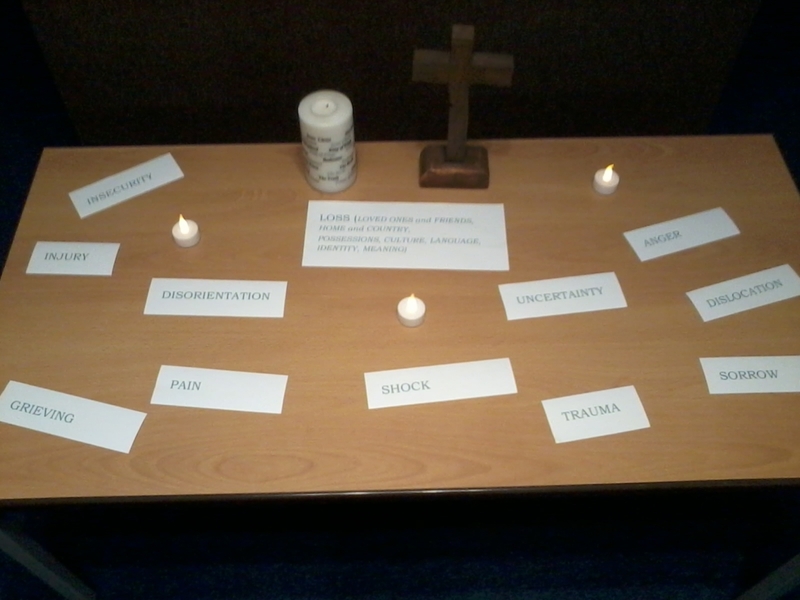 Prayer stations, based on materials developed by Rev Ben Kautzer of St Nicolas Church, Earley, were used. If you are interested in using these materials, please contact Joanna. Campaign to Close Campsfield welcomed the news that Campsfield House immigration detention centre, north of Oxford, is to close in May 2019 after 25 years. But “25 years too long” was the slogan of the rally held on 25th November. The group continues to campaign for the closure of similar centres elsewhere in the UK. .
Asylum Welcome has launched its Winter hardship appeal. Asylum Welcome helps over a thousand asylum seekers, refugees and detainees in Oxford every year. Why not sign up to Asylum Welcome’s mailing list to receive more information directly? Details of how to donate and how to become a supporter here. A large coalition of 80 organisations, including major churches and refugee charities, is calling on the government to Lift the Ban on asylum seekers working. Currently people seeking asylum in the UK are effectively prohibited from working. They can only apply to the Home Office for permission to work if they have been waiting for a decision on their asylum claim for over twelve months and only for jobs that are on the Government’s restrictive Shortage Occupation List. Instead of being able to take paid employment asylum seekers get just £5.39 per day to live on. Allowing people to work once they have been here 6 months since their asylum application would be beneficial for their integration and wellbeing as well as financially for the government in tax and National Insurance contributions. It would also bring us in line with other countries. More information in the report Lift the Ban: Why people seeing asylum should have the right to work. What can I do to support refugees? 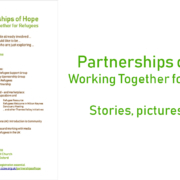 CCOW has produced a new document ‘What can I do to support refugees? – Information for churches in Oxford’ with lots of suggestions, including contact details should you want to find out more. We hope this resource is useful and welcome feedback to improve and add to it. Blackfriar Refugees Aid has compiled “University Study in England: A Resource for Refugees, Asylum Seekers and Other Forced Migrants”. It is intended for learners aged 25 and above living in and around Oxford (but most of it is relevant for all those based in England) and gives information on how to access university study and how to pay for it. Contact Leslie Topp for a copy. Sign the online petition to Lift the Ban on asylum seekers working, and download the activism pack for tips on how you can help make this happen. 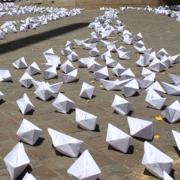 Safe Passage’s petition to Theresa May to resettle 10,000 child refugees over the next 10 years has a goal of 40,000 signatures. It’s almost there…can you help it reach the goal? Christian Aid’s church exhibiton tour: Uprooted helps raise awareness of the 40 million internally displaced people around the world. Available for churches to host from February – contact your local Christian Aid office.